Have I mentioned my brilliant idea for a menstrual advent calendar? You get a piece of chocolate every day, calibrated to your hormonal needs. On launch day (communists in the basement, sharks in the water, etc.) you get a rocket or maybe just a personal jetpack. And did you know women were barred from spaceflight for 20+ years bec of fear it would affect their menstrual cycle? There is literally nothing I cannot tie back to ladytime. 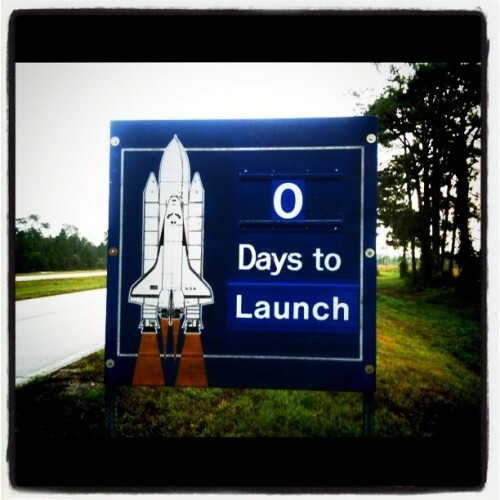 Oh and photo by annaholmes, who is at this very moment in Launchtown, USA. The real one.